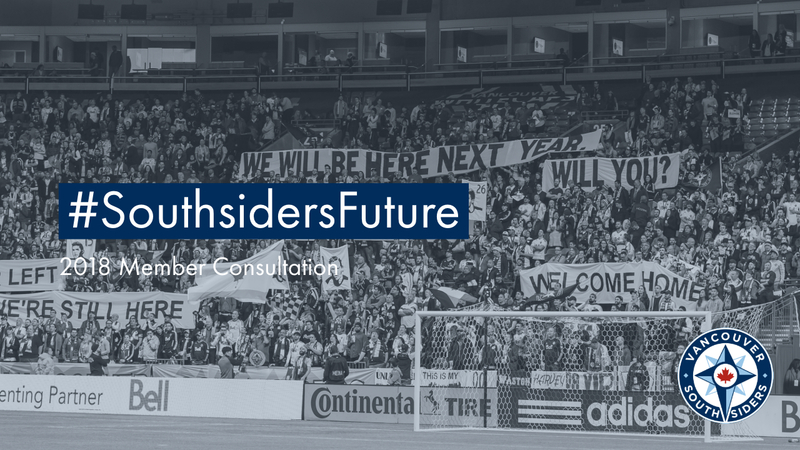 Vancouver Southsiders | What Does The #SouthsidersFuture Look Like To You? What Does The #SouthsidersFuture Look Like To You? We can’t change what we don’t acknowledge. The truth is, the Vancouver Southsiders are not living up to their full potential as a supporters group. Multiple factors have contributed to our present circumstances. Some are internal and entirely within our power to change them. Others are external, and our influence on these things may vary. Either way, there is no time like the present to re-focus our priorities for the things we do to support VWFC, and to decide *how* we can do them to the best of our ability. As such, we are beginning a multi-stage consultation process about our #SouthsidersFuture. Question #1: In your ideal vision for the Southsiders, name three specific things that ALL of our members should invest their time and energy into to ensure they are done WELL. Question #2: Could membership and voting rights be something you earn, rather than something you purchase? And if so, how would that work? Question #3: Name two aspects of our current activities, operations or membership that are obstacles or distractions holding us back from becoming your ideal vision of what the Southsiders should be. Question #4: In 10 words or less, what has been the most personally meaningful aspect of your membership in or involvement with the Southsiders? What’s really in it for you? Question #5: In 30 words or less, what should be the mission statement of the #SouthsidersFuture ? Please forward your responses by e-mail to feedback@vancouversouthsiders.ca rather than through social media – we want to ensure that all relevant information is captured in one place. We also ask that you put some real thought into your answers, and to try to focus on the future rather than the past. We shall have more details about the next stages of the consultation process in the days ahead. General comments on any subject relating to our future are also welcome at the same e-mail address.